The 7th of April, which is also known as World Health Day, marks the 70th anniversary of the World Health Organisation, a UN initiative dedicated to eradicating diseases on a global scale. In the spirit of the occasion, it’s necessary to be well informed about the most important factor that influences one’s personal health and general well being- the food we eat. In recent years, the consumption of organic food has grown considerably; this is mainly due to the fact that people’s general awareness about the negative effects of conventional agricultural techniques has also increased.While modern agricultural methods have been a great blessing, especially to the developing world, and done much to eliminate global hunger, they are not without serious consequences given the levels of preservatives, genetic modifications, chemical pesticides, and hormones, that are part and parcel of the farming process. Organic farming eliminates the use of these potentially harmful additives entirely, resulting in several key benefits to one’s overall health. Several recent studies have suggested that organic food contains higher amounts of essential nutrients and minerals, including vitamin C, iron, and zinc. Unlike processed foods which are artificially preserved for longer shelf life, organic foods must always be served fresh, making the most of their nutritional values. 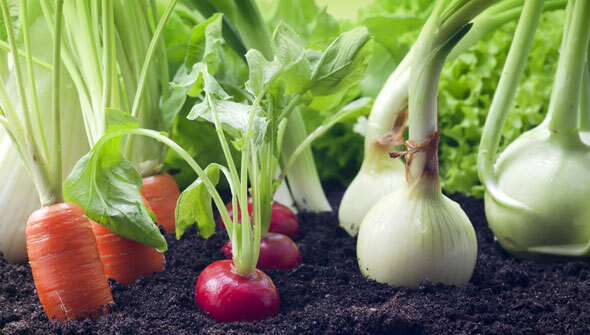 Conventional farming methods expose produce to chemicals in the form of pesticides, fertilisers, and preservatives. While these greatly improve productivity, they can be very harmful to human beings, and in large amounts even cause irreversible damage. Organic food on the other hand, is produced through traditional farming methods, without the use of any artificial compounds or preservatives, making it far safer for human consumption. To maximise productivity, and by extension profits, most modern farms inject their livestock with hormones and antibiotics which enter the human body when products like meat, milk, and eggs, are consumed. These chemicals, which are proven to cause hormonal imbalances and drug resistant bacteria in human beings, are a matter of great concern for many in the healthcare sector. Organic farming methods do not make use of artificial hormones and antibiotics, greatly reducing the risk of any complications in this regard. Numerous studies have shown that organically grown crops have higher levels of antioxidants than those that have been grown commercially. This is due to the fact that plants tend to acquire natural defences to diseases in the form of antioxidants, which do not adequately develop, following the use of pesticides. Modern methods of farming have saved the world from the scourge of hunger, and for that we owe them our gratitude. However, given the numerous health and environmental issues that accompany them, the shift towards sustainable, organic farming methods will continue to grow. As time goes by, even more people will continue to see the numerous benefits that they bring to the table, regardless of whether they’re consumed from the comfort of one’s home, or a restaurant.